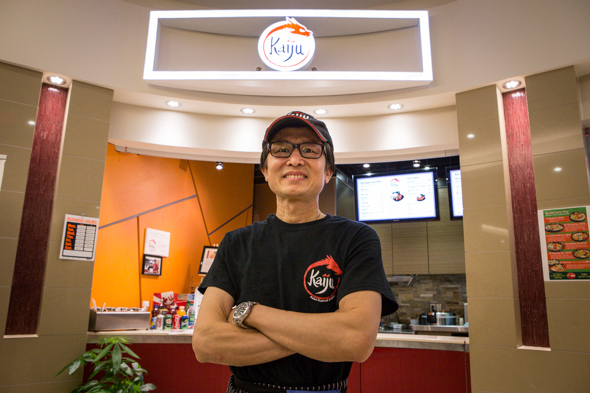 Kaiju is a small fast-food stall hidden away in a dismal, mostly empty basement food court that's part of the new Shops at Aura under the Aura condo building at Yonge and Gerrard. The eatery's been there for about a year, but it's highly unlikely you'd come across it unless you were purposely looking for it, and it seems a lot of office workers and students are, as a steady stream of people stop by while I'm there. If you understand Japanese (or have seen Pacific Rim ), you'll know that the name of this place means "strange creature," and they do make quite a monster of a Japanese curry here. 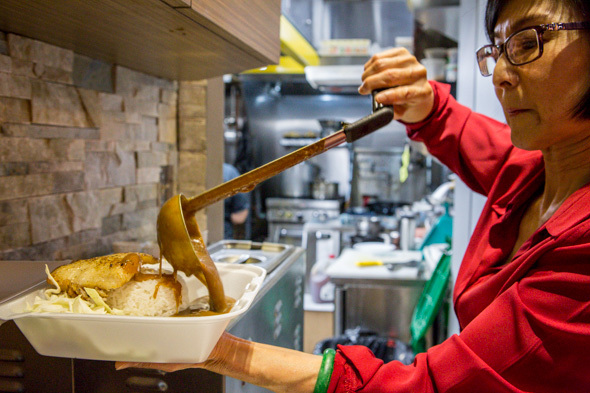 Affable owner/chef Brian (Siak Khoon) Chen, who's originally from Ipoh, Malaysia, learned to make this popular Japanese comfort food in Singapore, where it's caught on as a fast-food takeout dish. He makes the curry from scratch, using a blend of over 14 ingredients that are slow-cooked for two days over a low heat. What makes Japanese curry different from other Asian curries is that it uses a roux, which gives it a thicker, more gravy-like consistency, and it tastes a bit sweeter. 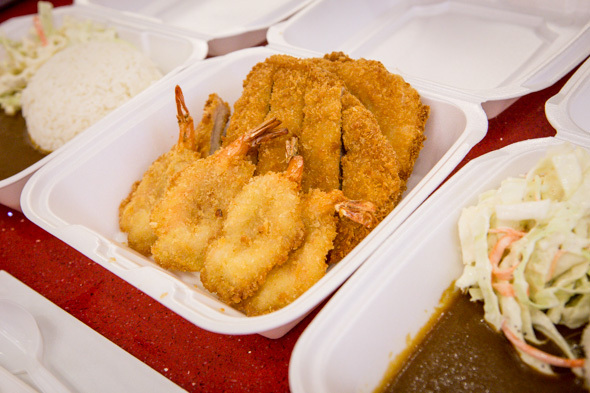 The thing to order is the katsu curry ($8). 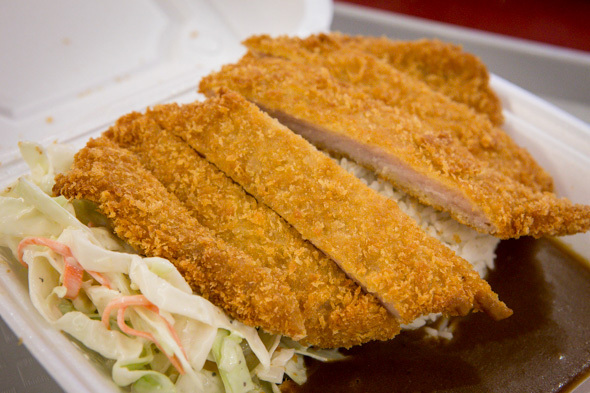 A panko-crusted chicken or pork cutlet (you can also choose shrimp or a fish fillet instead) is deep-fried to order, and served with steamed rice, salad and of course, Chen's addictive, umami-riffic curry. I could eat a vat of this stuff. If you're sharing with a companion (or have a Godzilla-like appetite), there's the Kaiju Jumbo Combo ($18), which includes the pork or chicken cutlet, plus shrimp and fish, along with the same sides as above. To up the spice level, add sparing amounts of Chen's homemade hot sauce, which is definitely not for the faint of heart. 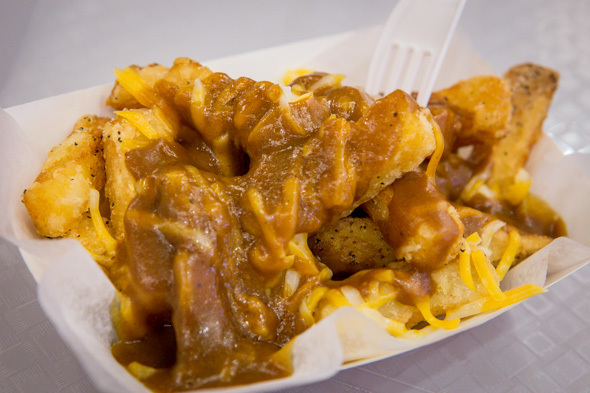 Kaiju poutine ($6) combines the comfort foods of two nations, with Japanese curry acting as gravy over hand-cut fries and shredded cheese. You could pretty much pour this sauce over anything and I'd eat it, but it works particularly well as a poutine sauce. While the curry is the main feature at Kaiju, some of the other Asian-inspired dishes on the menu are worth a try as well. Mama's Chicken ($8.95), served with steamed rice, is something Chen's mother used to make for him, and in terms of favourites, it comes a close second to the curry. 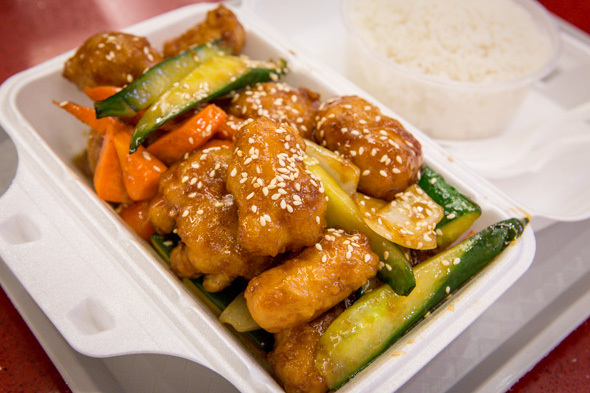 The crispy exterior and moist interior of the pieces have a hint of sweetness and are not too salty, making it a much more subtle dish than your typical Chinese-takeout sweet and sour chicken. 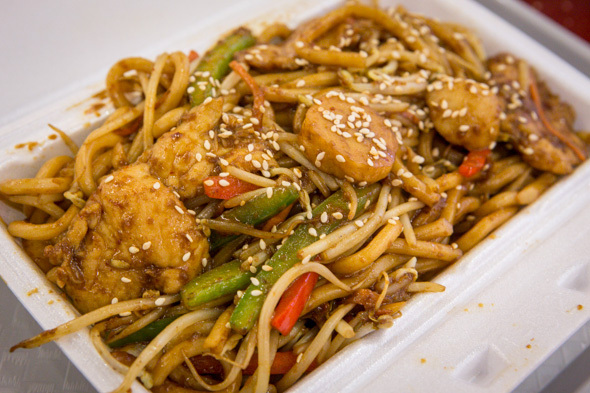 As Chen and his family members who work at the stall are Malaysian, they've come across expats who miss dishes from home, so items like char kway teow ($8.95) or fried sambal udon ($8.50), which is Malaysian sambal sauce mixed with thick Japanese noodles, can be found on the menu. At the request of a customer, Chen has also started selling tubs of his own homemade kaya (250mL for $5), a popular sweet spread for toast in Singapore and Malaysia, for which he also got the recipe from his mother. If you're into coconut mixed with eggs and pandan , then this is your jam. 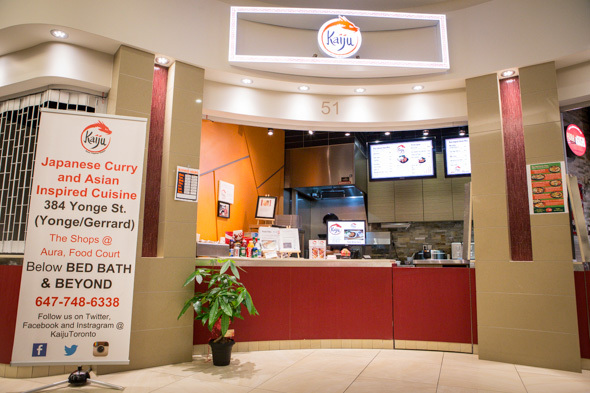 For such a new food court, the ambiance down here is pretty abysmal, but with what may arguably be the best fast-food Japanese curry in the city, the lack of atmosphere is a worthwhile tradeoff.